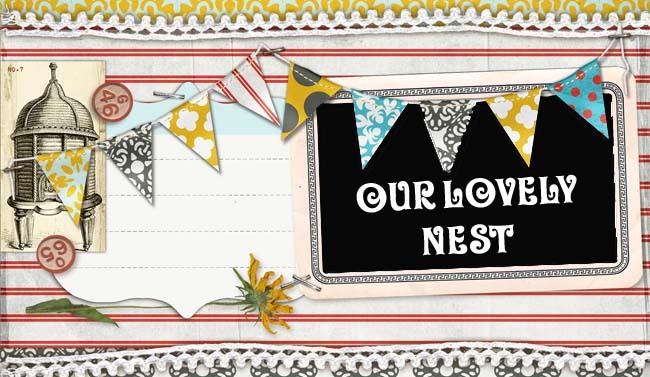 Our Lovely Nest: Oh, what a morning...! Grace woke up this morning around 6:15 coughing ... I left her in there until around 6:45, and when I finally went to get her, fearing the worst... she jumped up in her bed and said "SCHOOL MOMMY! YEA SCHOOL!" She wasn't stuffy at all, just a little dry throat I guess. She was in the greatest mood and wanted to get dressed right away although we had another hour before we had to get ready. I am somewhat proud to say that was still able to run a mile and a half; but thankfully after that long, the rain slowed up to just a drop here and there...and I was able to briskly walk the rest of the way. Let me tell you, the looks I was getting by the few that passed me were hilarious.... I had a few lookey-loos who got all the way over to the other side of the road and slowed waaaay down and just watched in amazement...Even a little doggy decided that I should not endure that humiliation alone, and decided to trot along side me until I stopped running. Oh, folks, the story isn't over. I checked the clock and it was about 8:55am when I got home. The carpet cleaners were not supposed to be here until 9:30, and since I was soaking wet and stinky, I thought I'd take a quick shower before they arrived. I am in the shower and hear something....sounds like knocking....but it couldn't be... no service company arrives early... more knocking... What could I do...? I turned off the shower, conditioner still in hair... and grabbed a t-shirt and my robe, wrapped up and ran to the door. If they were to leave, I'd have to pay another 'gas' fee for them to come back out. You all know how cheap I am, and I figure a little more humiliation for the day was well worth the extra fee. I open the front door, and the poor man doesn't know what to say.... He politely says, "Hi! This the right house?" "Oh, yea, you've come to the right place... weren't you supposed to be here at 9:30?" "I don't know, I guess I just got here a little early... Do you want me to start cleaning the carpets...?" "Of course...! Come on in... I'll be upstairs if you need me." I crawl up the stairs a little embarrassed, laughing to myself and chalk it up to "just one of those mornings..."